It's that time again, dear readers, for the Nintendo Download Update in Europe. The official press release was slow arriving, but the list is now complete thanks to help from Daan Koopman and NL user KJ85. There are two offerings on the Switch this week, along with some tempting options on the Wii U and 3DS; in addition quite a few discounts have also arrived. Let's get to it. 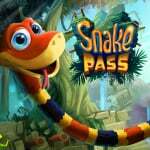 Snake Pass (Sumo Digital, €19.99 / £15.99) - Released earlier this week, this is an intriguing collect-a-thon physics puzzler in which you manoeuvre Noodle the snake through various detailed levels. There's a bit of buzz around this one and we're currently working on our review, but until then you can check out our interview with the game's composer, David Wise. Metal Slug (HAMSTER, €6.99 / £6.29) - We've already have Metal Slug 3 on the Switch, but now you can go back to the beginning. As you might expect this ACA release will be blessed with all the usual enhancements, such as screen filters, online leaderboards and much more besides. Cube Life: Pixel Action Heroes (Cypronia, €6.99 / £6.29) - It's Cube Life with ragdoll physics and guns, basically, taking the previous Minecraft-esque template and adding '80s action hero skins and presumably some hilarity. It has local multiplayer, destructible maps and a map editor, so this could be a fun spin on Cube Life: Island Survival. Pic-a-Pix Colour (Lightwood Games, €5.00 / £4.50 or free if you download the 3DS version) - This offers a different spin on Picross-style puzzle solving, whereas you fill in colours and spaces aren't mandatory. The Wii U version supports larger puzzles that can be bought as inexpensive add-ons if you get this as part of the cross-buy promotion with 3DS; DLC is also available day one. Mutant Alien Moles of the Dead (EnjoyUp Games, €2.99 / £2.58) - This looks rather colourful and could certainly be rather fun, it's a 'game of reflexes' that mixes up gameplay with dips into various genres. Go! Go! Kokopolo 3D (CIRCLE Entertainment, €5.99 / £5.79) - Years in the making for Tanukii Studios, this 'chase 'em up' takes an isometric viewpoint and challenges you to dash around levels and master a hefty challenge. We absolutely loved this in our Go! Go! Kokopolo 3D review. Urban Trial Freestyle 2 (Tate Multimedia, €6.99 / £6.29) - A side-on motorcycle racing / stunt game with similarities to console series Trials, this sequel will apparently have twice the number of stages seen in the original along with the ability to create and share tracks. Pic-a-Pix Colour (Lightwood Games, €5.00 / £4.50 or free if you download the Wii U version) - This offers a different spin on Picross-style puzzle solving, whereas you fill in colours and spaces aren't mandatory; DLC is also available day one. Super Destronaut 3D (Petite Games, €1.99 / £1.79) - This is a homage to Space Invaders, albeit with modern touches and a few twists to the formula. We had some positive things to say about Super Destronaut on the Wii U eShop, of which this is a port. Pinball Breakout (nuGAME, €7.00 / £6.00) - As the name suggests this one combines block-breaking gameplay with pinball mechanics; it was previously released on Wii U.
FIFTEEN (RCMADIAX, €1.49 / £1.39) - This recreates sliding tile puzzles, but in this case you're trying to arrange numbers into the right order. Pic-a-Pix Colour sounds interesting enough. Think I'll get Snake Pass for the Switch. Still kinda lacklustre though for a new console. We should be getting more than this. Not a lot going on for Switch. I could have sworn a new Nintendo "console" released earlier this month. The Wii U has more new releases than Switch, which is ironic seeing as a lot of people round here say it's dead. I've already got Snake Pass... This slow trickle of releases is starting to bum me out a bit. Where are all the games? I'll be getting Snake Pass and Metal Slug soon but probably not this week. Nintendo Europe need to hire a new guy to get the update news to the press they're always so late. Wow soooo many Switch games...I'm overwhelmed! @Reverandjames Probably just a continuation of the list from last week. The Nindies sales runs until 6th April. I like so far that the Switch Thursday updates are matching up with all regions and I hope they keep it that way! I much preferred this news first thing Monday morning. It used to help brighten up my day, reading all the moaning comments about how bad Nintendo's eshop is and how green the grass is over on PSN. €20 for Snake pass! Not on your nelly. I seen Yooka laylee for pre-order on Xbox store @€40. That'll be another no go zone for me either. I'm still deciding which ones on sale last week I should buy. Wish they'd space it out rather than all at once. @Moon There are no games. Nintendo is deliberately delaying Splatoon2 til Summer and Super Mario Odyssey til Christmas to reduce the drought gap of first party games. They also don't have any other games ready for this year and desperately needed a big console seller title for Christmas and as such they delayed Super Mario Odyssey all the way til Christmas, so they can sell some consoles. That updated list highlights even more how scant things are on Switch. Full list done, poll added, with thanks to Daan Koopman and KJ85. I'll get MAMOD in the future. Hm, the poll seems to be misbehaving, we'll try to figure out the cause of that. Ouch. This is not going persuade many people they need the new console. Nothing for me but I'm extremely happy that NA finally got Pikmin 2 today. I hope they get NSMBWii soon. @SLIGEACH_EIRE Every article and the moaning goes on and on. Think positive. Go for a walk. See the beautiful sunrise. I finished Zelda, and Snake Pass became dull after only 4 stages. Just because Zelda is selling well, doesn't mean you can take it easy and be lazy. At least release Virtual Console, and let us play some Game Cube games. Think I'm gonna give Snake Pass a go, the reviews seem pretty good. Sumo deserve a bit of support too. Don't think I'm going to buy Metal slug again especially as I already have a Zelda-induced Switch backlog. For stats fans, that brings the number of games on the eshop to 36 across all regions, with another 2 (at least) due next week. Given that I'm one of those who thinks of it as a 'soft launch', that's not bad. @SLIGEACH_EIRE How'd you enjoy the Splatoon 2 testfire last weekend on the Wii U? What's the next big Nintendo release on Wii U you are looking forward to? 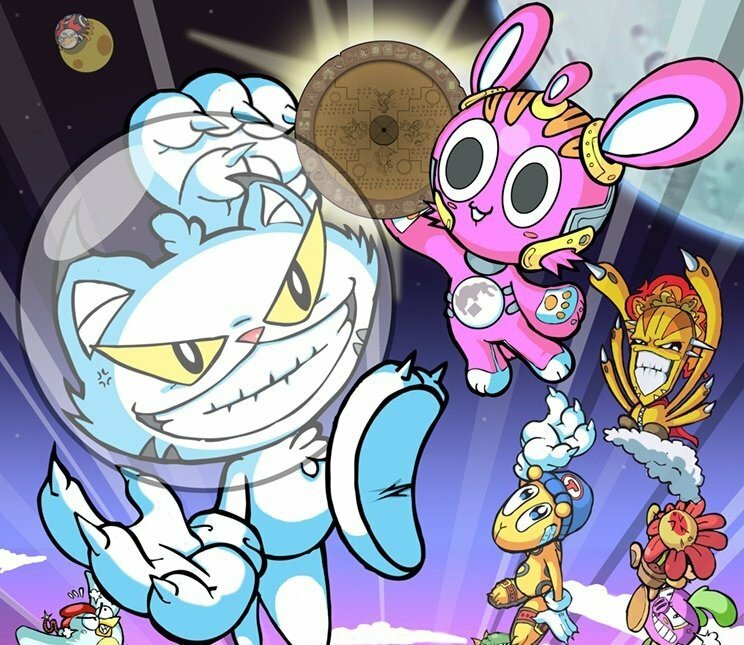 Which of the three Wii U releases in this list are you picking up? How well does the Snake Pass for Wii U version work? Did you try Blaster Master Zero on Wii U yet? I'm not sure what you are trying to do with the comments, though. I mean, it's worth remembering that for many, the Wii U is still a good console with a small but great library. I tried to talk a friend out of buying one a couple weeks before Switch launched, but really, in his situation it made sense. He'll be playing that thing for a couple years at least having never played any of the games before. That said, Wii U has no future except as an awesome console to play old games on. Nintendo is already less than 100% focused on Switch with attention divided towards 3DS and that actually bothers me a little, as I'm so ready for that division of resources to be eliminated. Wii U is off their radar as it should be, though. It sounds like you'll hop on board by the end of this year as most people probably will and that is, frankly, a much wiser time to hop on board. I'll probably still have a few Wii U games I'm finishing up by them, myself. If you are just trying to remind people that Wii U is still fun, maybe comments that are less salty would do a better job at it. I feel like I'm playing the switch too much already. I wish the good games would come a bit slower so I didn't get overwhelmed. I mean the n64 was my favourite console, and I had like 6 or 7 games for it through all those years. I already own 4 games for the switch and am worried I won't get to play through them all before even more arrive. How can people find so much time for playing it all? @aaronsullivan Are you sure that Switch has a future? The release list is pathetic. The existing games are selling poorly. The hardware is bad. I don't know what it would take for me to buy a Switch, but I can say with certainty that it isn't there and it isn't anywhere to be seen. You seem to forget that people have other systems too. Snake Pass is also on PS4, and it's better there. PS4 has a lot more games and is simply better than Switch in every way. Until I finish Zelda I wont be buying any eshop titles but Snake Pass is added to my to buy list. Ugh. My day gets worse. @Steel76 Should of just gotten the Wii U version of Zelda, The Switch's exclusive games won't be coming intill a few more months. Just too tempting to get new hardware to play around with. But this is the last time I buy a new console on launch. I dont really get the problem! Seems like all the kids now days blowing through a game in some hour. I only had time to play Zelda, and now 90 hours later it´s still going strong. Haven´t even touch the other Switch games I have. @Mahe I hate taking my PS4 to the doctor's office to play while I sit there with my son though. Actually, the PS4 has been a pretty big disappointment to me so far. I really thought I'd buy one last year but nothing interesting to offer my family. I am still skeptical of how successful the Switch will be overall, myself, though. Everything is mostly good so far (the public list of upcoming third party games is lacking), but it's way too early to see anything as a strong indicator for long term success. Btw, hardware is really great or are you believing the hype on left controller and scratches? Not as big a deal as it sounds in practice. I do love the system so far, though. Has brought a great deal of joy to us and the people I show it to already. Specs are quite understandable once you play with it in person. It amazes people seeing Zelda play on the little thing. I mean people just say "wow" or "that's amazing" without any prompting. One strong point It has going for it is that there is so much more word-of-mouth potential as people will be seeing it in person much more than a console that's stuck at home. @G-Boy Yeah, me neither. Just bought more stuff for Switch last week and trying to spread out the costs after the initial launch costs being so large. @Sveakungen Yeah, we are 80 hours in and loving it. Plenty to do! But I have to admit that having at least one other very different game is helpful. Recently jumped on Fast RMX and the whole family really likes that one. Good for a big change of pace. Oh, and Snipperclips is must have if there is someone you can play it with. I could go on because actually we have a few more, but early on I was feeling it. Sometimes you just want to mix it up and it's important to have options. The hardware's Excellent. It's a lovely machine. "PS4 has a lot more games and is simply better than Switch in every way." Every? Really? The PS4 is great but it ain't portable. So not every. Right, and PS4 also doesn't have Mario Kart, Splatoon, and that slick looking new Mario coming this year. Of course that's not necessarily better or worse. Depends on what games you actually want. Probably PS4 for @Mahe is just about better in every way... until the very unlikely event when an ExciteBots or ExciteTruck successor comes to Switch. For me and my wife and kids, those games, the form factor and flexibility and, of course, Zelda make it far and away better than the PS4. @aaronsullivan Very well spoken and polite response to a very salty person. Give this man a medal! Hm. I should assume from now on that Kirby's Dream Land 3 is not coming to New Nintendo 3DS eShop. @SLIGEACH_EIRE Maybe because the Switch hasn't been out long there isn't much going for it atm perhaps? it's the same old story everytime a new system launches people expect games for it instantly, it just doesn't work like that it takes time to build the Library up. @Steel76 actually it's a lot better than the early days of wii u which is the only valid comparison to make. There's a typo in the article. 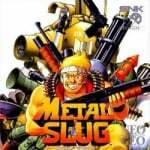 "We've already have Metal Slug 3 on the Switch"
I hope Switch releases pick up soon. 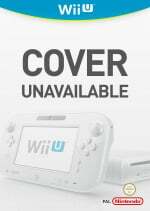 @SLIGEACH_EIRE Even if the WiiU did have more releases than the Switch... I'm not seeing the problem. There's no rule saying that every new console absolutely most have a bigger release than the last console. PS4 released with... What... Knack? It is disappointing to see that the switch isn't getting as much VC love as I would hope. I can understand Nintendos approach with not releasing too many games at once but this should only apply to the retail seen. They need to fill up the VC with more games so they can fill that gap between games. So far I have yet to pick up the switch as I was disappointed with the wii u when I was an day one buyer. I would have much preferred it if I bought it a year or so after launch. So this is my approach so far with the switch and so far it seems I was right as I would have been disappointed personally if I did get it day one. The earliest time I will pick up the Switch will be about October to avoid the Christmas rush but that will depend on what Nintendo has to offer on the eshop. Switch Virtual Consol can't come soon enough. Oh dear...Christ it's turning into the Wii u already, there's just no games but at least the Wii u had VC. @SLIGEACH_EIRE you ain't got one so don't worry about it.